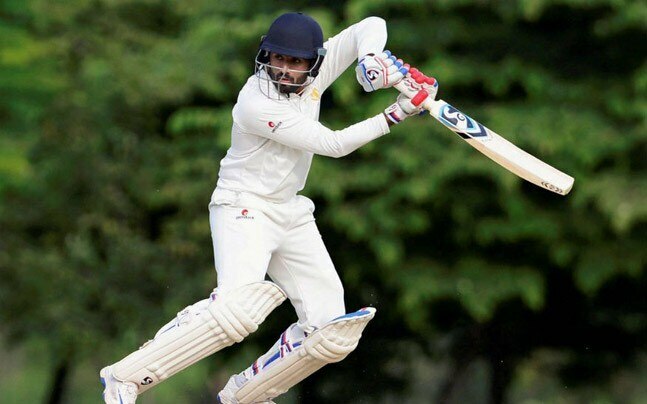 Nagpur, Dec 9: Karnataka rode on rising Shreyas Gopal's career-best 150 to leave Mumbai reeling at 120/3 and trail by 277 runs in their second innings of the Ranji Trophy 2017-18 quarter-final clash at the Vidarbha Cricket Association Stadium here on Saturday. In Vijayawada, Himmat Singh's 71 helped Delhi post 405 in their first innings and gain an overall lead of 67 runs against Madhya Pradesh at the Gokaraju Liala Gangaaraju ACA Cricket Ground. Starting the day at 32/2, Kerala were shot down for 176 after being 165/5 with Rajneesh Gurbani picking up 5/38 in response to Vidarbha's first innings total of 246. In their second essay, Vidarbha rode on Faiz Fazal's unbeaten half-century to end the third day on 77/1.